This book serves as a self-contained introduction to spectral theory of unbounded operators in Hilbert space with full proofs and minimal prerequisites: Only a solid knowledge of advanced calculus and a one-semester introduction to complex analysis are required. The aim of these lecture notes is to provide an introduction to methods and techniques used in the numerical solution of simple (non-relativistic) quantum-mechanical problems, with special emphasis on atomic and condensed-matter physics. 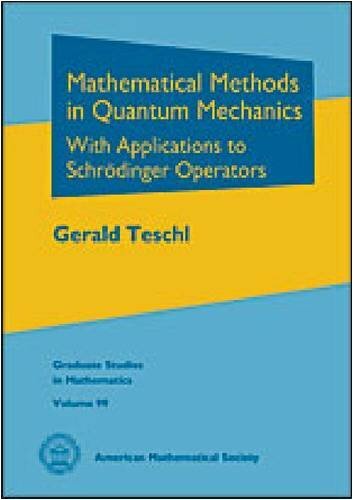 This book is an attempt to help students transform all of the concepts of quantum mechanics into concrete computer representations, which can be analyzed and understood at a deeper level than what is possible with more abstract representations. This paper is an introduction to work motivated by the question 'can multipartite entanglement be detected by homological algebra?' We introduce cochain complexes associated to multipartite density states whose cohomology detects factorizability.